Led by internationally renowned drummer Daniel Glass (Royal Crown Revue, Bette Midler, Gene Simmons), this is the debut release from an all-star aggregation that specializes in jazz from the 1920s-1940s. 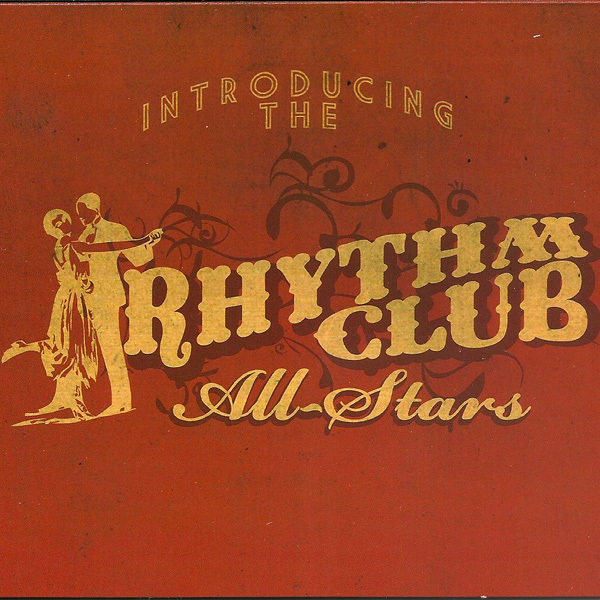 True to its name, the Rhythm Club All Stars features some of the top professionals on the Southern California scene. Led by internationally renowned drummer Daniel Glass (Brian Setzer Orchestra, Royal Crown Revue, Bette Midler), the RCAS also includes guitar wizard and vocalist John Reynolds (Cab Calloway), bassist John Hatton (Brian Setzer Orchestra), and horn master Corey Gemme (Johnny Crawford, High Sierra Jazz Band) on cornet and trombone. Combining vintage instruments and a classic look with a “period-perfect” sound that swings like crazy, the Rhythm Club All-Stars offer an authentic, high energy “retro” experience that has become a favorite among swing dance scenesters and lovers of early American music.